MADRID (Reuters): Juventus forward Cristiano Ronaldo is expected back in Madrid on Tuesday to attend a trial for tax evasion in which Spanish prosecutors are asking for a 23-month prison sentence and a fine. The Portuguese striker, who left Real Madrid for Juventus last July, is expected to plead guilty after he agreed a settlement worth 18.8 million euros (£16.5 million) with Spanish tax authorities last summer. 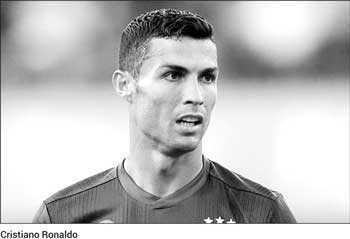 It is expected to be concluded on the same day and be short, with officials saying the hearing will only require to Ronaldo confirm he accepts the deal.